In late 2010 we set out to research the growing relationship between South Korea and the state of Israel. Some of what we found we expected to find, and some things have given us cause for deep concern. We found that the support given by South Korea to the state of Israel is countercurrent to South Korea’s international and constitutional obligations, as well as appearing hypocritical coming from a country which itself has suffered under, and speaks out against, colonialism. As is common practice amongst embassies, the respective South Korean and Israeli diplomatic missions often wax lyrical about the similarities between the two countries. For instance, both countries were founded in the same year. Both countries have been involved in bloody wars with their neighbors. The core industries of both countries include are strong ‘high-tech’ and military industries. While this happens to be true, it is also true that South Korea has a lot in common with Palestine and Palestinian people. Most obviously, they share a history of suffering under colonialism. This was initially understood by the South Korean leadership, and in 1973 South Korea announced for the first time its official position on Palestine, calling for Israel to withdraw from the occupied territories and making clear its support for Palestinian self-determination. It is worth mentioning that even if there wasn’t this shared history of suffering under colonialism, South Korea’s constitution explicitly describes international law as having the same standing and importance as Korean domestic law, which should at the very least see South Korea openly condemning Israel’s violations of International Law. Finally, as a voting member of the UN, South Korea is required to not only adhere to international law, but to promote adherence to international law. One would expect these factors would make for a South Korea which strongly condemns the colonialism, occupation and aparthei3 Palestinians suffer under. Over the years, however, the South Korean position on Israel and Palestine has become less and less aligned with its anti-colonial standing, values described in its own constitution, and obligations as a UN member. This is manifest not only in South Korea’s foreign policy positions towards Israel/Palestine and voting patterns in the UN, but also through a driven and increasing economic, military and academic relationship with Israel. After joining the United Nations in September 1991, Korea has never opposed resolutions regarding the question of Palestine, and it has consistently voted on resolutions to evacuate Israeli settlements. However, it has abstained from various resolutions on matters of great importance, such as the vote to send a fact-finding mission to Gaza following the Gaza Massacre of 2008-2009. 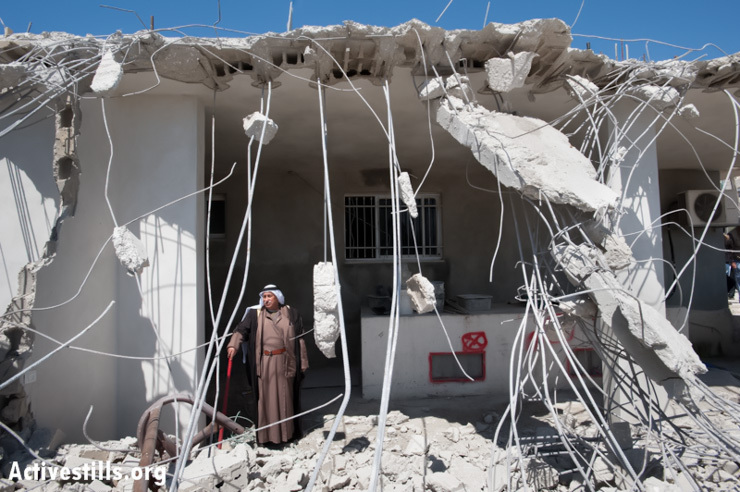 Hyundai Heavy Industries has been clearly implicated in the demolition of Palestinian homes. There is abundant photo evidence and testimony which demonstrates the use of Hyundai equipment in the demolition of Palestinian homes in the West Bank and Occupied East Jerusalem. The Korea Israel Industrial R&D Foundation, established in 2001 with the purpose of funding collaboration between Israeli and South Korean companies, has funded several projects involving Israeli companies known to be involved in the occupation, maintenance of illegal settlements, and the production of military technologies. Bobcat Company is operated by Doosan Infracore International, an affiliate of Doosan Infracore Co., Ltd. Bobcat has been documented to supply equipment which is used in the construction of the same illegal settlements that South Korea condemns in the UN. Ahava Cosmetics, which has been the target of an international campaign due to its exploitation of natural resources from the occupied West Bank, are widely stocked and sold in South Korea through online supermarkets such as: Gmarket, InterPark, Auction, and 11ST. The extent and nature of the arms trade between Israel and South Korea was a particularly worrying discovery of ours. While Israel and South Korea are both major arms producers, South Korea imports far more Israeli weaponry than Israel imports South Korean weaponry. And the amount has soared since about 2008, prompting commentators to suggest that Israel will overtake the US as South Korea’s main arms supplier. 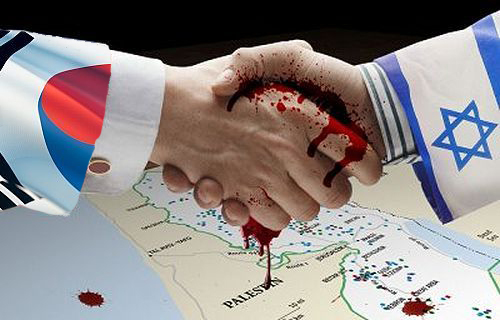 Not only is trading arms with Israel in general a great concern, but there is also the issue of the particular companies involved in the transactions. Both Elbit Systems and IAI are directly implicated in the occupation. IAI Provides Surveillance Equipment for the “Apartheid Wall” (which has been condemned by the International Court of Justice). Elbit Systems not only provides “Intrusion Detection Systems” for use on the Apartheid wall, but also surveillance equipment for the illegal Ariel Settlement. Elbit’s image as a company deeply involved in the occupation has seen it divested from by Norway’s largest pension fund. Although the current relationship between KAIST and Technion is minimal, there has been a desire recently expressed on both sides to increase cooperation. Notably, in the field of space and nano-technology. With the knowledge of Technion’s relationship to the arms industry and thus the occupation, it becomes obvious that the cooperation with the institute is tantamount to tacit approval, at the very least. It is also possible that research cooperation could lead to a situation wherein South Korean research directly contributes to the development of new Israeli military technologies which will undoubtedly be used on Palestinians. The prevalence of South Korean religious tourism to Palestine was something we were aware of before beginning our research. However, we were less aware as to how it affects the Israeli and Palestinian economies. Among Asian countries, South Koreans constitute the majority of pilgrims to Israel, and Korean Air runs a direct flight between Seoul and Israel. It is estimated that in 2010, Israel generated 400 million US dollars of revenue from tourism. Because of this, the Israeli Ministry of Tourism has become rather active in targeting South Koreans as potential religious tourists to Israel. In 2010, the ministry ran a seminar entitled ‘Seminar for Church leaders with the Israel Ministry of Tourism’ in various major cities in South Korea, with the intent of attracting more Korean religious tourists. While some religious tourists tend to visit sites in the Occupied West Bank, such as Bethlehem, the local economy around these places has degraded due to the occupation, the wall and the fact that Israeli-run tours bypass a lot of small Palestinian businesses. So, although Israel benefits greatly from Korea’s religious tourism, the local economy of places such as Bethlehem cannot be said to experience the same level of benefit. As mentioned earlier before, the relationship between Israel and South Korea is set to increase. According to Ma Young-Sam (former Korean Ambassador to Israel) a 20-30% jump in trade and investment is expected as a result of an Israel-South Korea FTA currently under negotiation. However, there are other results to be considered. It is safe to assume that increased economic, military and academic cooperation with Israel will mean an increase in the cases we have described above. This will inevitably put South Korea more at odds with its own professed values and further into a state of complicity with Israel’s colonialism, occupation and apartheid.